Unleash metamorphic power. "Awaken, dead warrior!" cries Zeus, God of Thunder. And you rise. Called upon to live again, you kick, punch, grapple and tear at the inhuman and monstrous flesh of horrible, dangerous underworld henchmen out to do you wrong. Savagely intent upon rescuing Athena, daughter of Zeus, from the demon god Neff, you stalk the bowels of Hades and beyond. What you are now you will not be. You are the Altered Beast - bestowed with five formidable forces of transformation - each more ferocious, more overwhelming, than the last. By battling, conquering and capturing spirit balls, your metamorphic powers will grow. But to what end? The final confrontation. Your triumph over crocodile worms, hammer demons and grave masters brings on the horror of Neff himself. But boldness and cunning will be rewarded - in the ultimate Altered Beast! Transformation is the ultimate power. 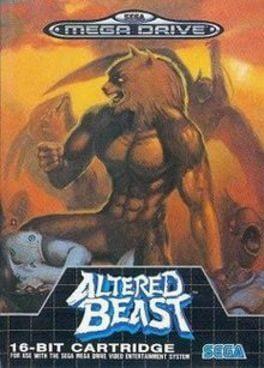 Altered Beast is available from 2.49 to 2.49 from 1 shops.